Willy Paul is raking in serious moola from his music career, or at least he wants the world to know so. The controversial singer caused a stir on social media when he flaunted wads of cash. 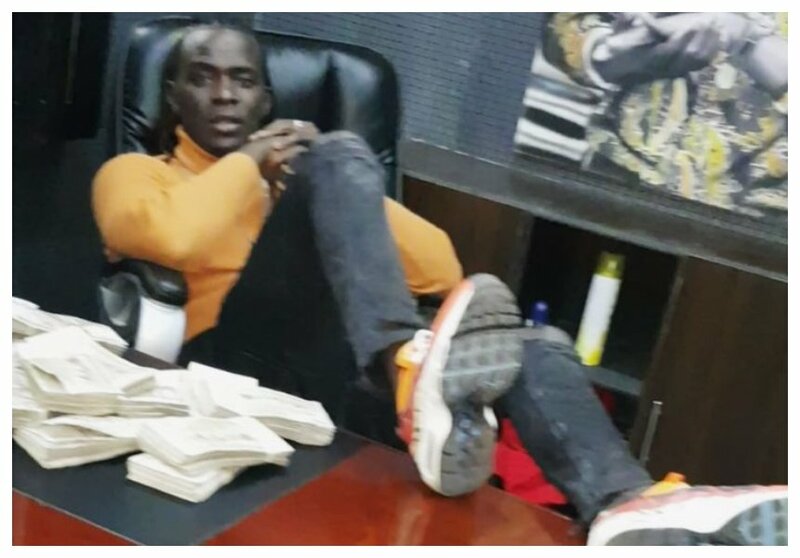 In a video posted on social media, the ‘Njiwa’ hit maker is seen seated in his office with the bundles of cash placed on the office table. The singer then goes on to pretend to be stashing the cash in a fanny pack but it does not fit so instead he pulls out a bigger brown envelope. The whole stunt was meant to advertise Willy’s record label Saldido International. The singer is heard bragging that his record label is the best in town. “Welcome to Saldido International where all the magic happens,” said Willy Paul. The Instagram video clip attracted lots of criticisms from netizens who thought he should be spreading the gospel instead of showing the world how much money he has.